Super lanyard design for the smart portable sports speaker, make it easy to be tied on your bicycle, bags and other belongings,let the music to accompany your sports. 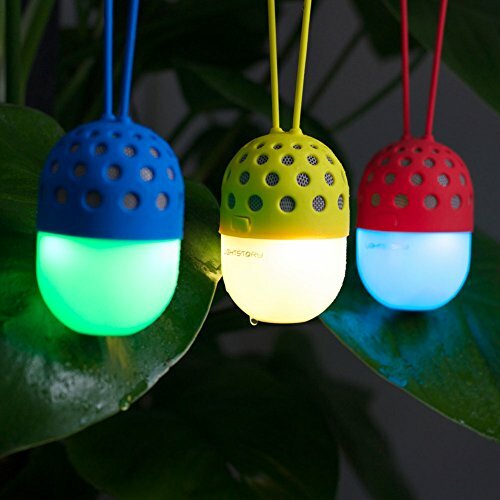 The Smart LED Speaker supports upto 7 colors for option,and two more fast/slow-flash mode,really funny.Double press the set button quickly per time,to switch the model,by the order: Green-white-red-blue-purple-yellow-cyan-fast flash-slow flash-green. 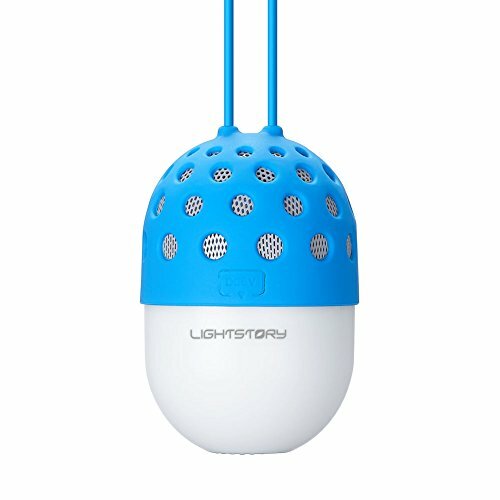 The portable Bluetooth speaker supports hands-free phone calls & outstanding bluetooth connection range up to 33 feet for convenient wireless freedom. Supports Bluetooth 4.1,easy connection works with all bluetooth-enabled devices: smart phones, pads, laptops and desktops, MP3 & DVD players, etc. IPX4 water proof, 360 degree stereo music surround, Full-color display of 16,000,000 colors. Smart Color Model: Smart Sports Wireless Speaker supports upto 7 colors for option,and two more fast/slow-flash mode,really funny. Double press the set button quickly per time,to switch the model,by the order: Green-white-red-blue-purple-yellow-cyan-fast flash-slow flash-green. 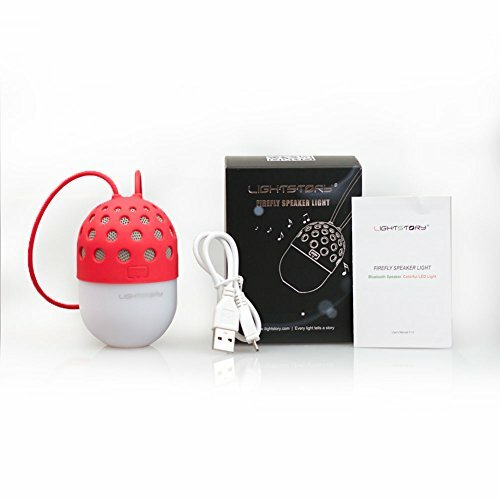 Bluetooth Wireless Speaker: Bluetooth wireless sports speaker supports Bluetooth 4.1, easy connection works with all bluetooth-enabled devices: smart phones, pads, laptops and desktops, MP3 & DVD players, etc. 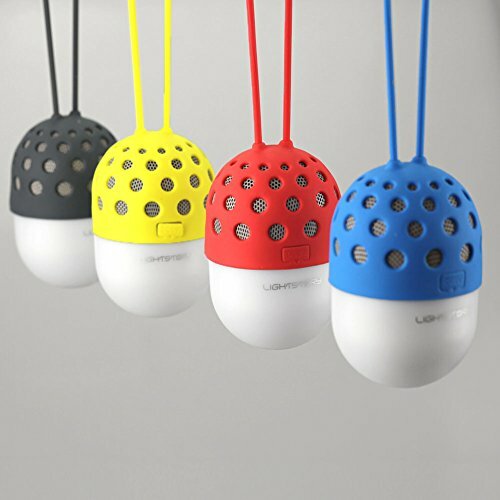 Portable Sports Speaker: Super Lanyard design for the smart firefly speaker,make it easy to be tied on your bicycle, bags and other belongings,let the music to accompany your sports. 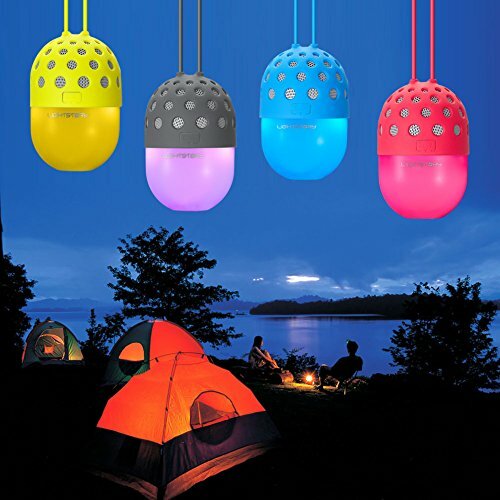 Humanized Design Portable Speakers : IPX4 water proof, 360 degree stereo music surround, Full-color display of 16,000,000 colors. Built In Mic Smart Speakers : The bluetooth wireless speaker supports hands-free phone calls & outstanding bluetooth connection range up to 33 feet for convenient wireless freedom.